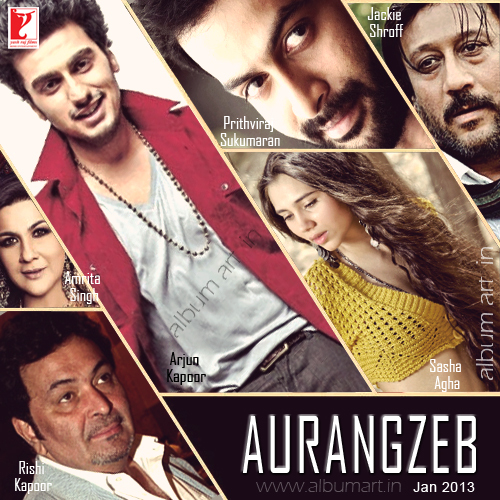 Aurangzeb is an upcoming Bollywood film directed by Atul Sabharwal. The film has Prithviraj, Arjun Kapoor, Sashaa Agha and Swara Bhaskar in the lead and a supporting cast that includes Jackie Shroff, Rishi Kapoor, Amrita Singh,Sikander Kher and child actor Sainath Dukkipati. The film is said to be a remake of the 1978 blockbuster Trishul. The film will portray Prithviraj, the Malayalam Actor in the lead and Arjun Kapoor in a double role and will also pair up Jackie Shroff and Amrita Singh again after almost two decades. Rishi Kapoor will be playing the role of a villain.